Mr. Donnie Ray Spurlin age 57 of Trenton, KY passed away Wednesday November 7, 2018 at his residence of natural causes. Services will be Saturday November 10, 2018 at 11:00 a.m. at the Bells Chapel United Methodist Church with Bro. Bill Oliver officiating. Burial will follow in the church cemetery. Visitation will be Friday November 9, 2018 from 5:00 to 8:00 p.m. at Latham Funeral Home in Elkton, KY and after 10:00 a.m. on Saturday until the funeral hour at 11:00 a.m. the church. Mr. Spurlin was born in Trenton, KY December 24, 1960 the son of the late Lonnie Spurlin and Lucille Trainer Spurlin. 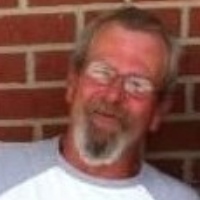 He was an independent trucker and a member of the Bells Chapel United Methodist Church. He is survived by his wife Brenda Spurlin of Trenton, KY, his sons Josh Spurlin and his wife Heather, Joseph Monk and his wife Janie and youngest son Shane Spurlin all of Elkton, his brother Danny Spurlin of Hopkinsville, KY, his grandchildren Justice, Felicia, and Chandra Weimer, Camron Thompson, Cash Spurlin, Jesse, Jaxon and Gemma Monk, also surviving are numerous other relatives.